We operate worldwide from our headquarters in Dubai. Our company is registered in Dubai Media City, and our senior management has more than fifteen years’ experience in organising and managing business-to-business conferences and exhibitions in more than 25 countries. 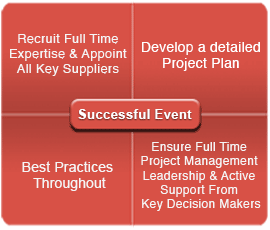 The energy events that we either organise or partner with are specifically designed to deliver maximum return on investment for the stakeholders, speakers, sponsors, exhibitors, delegates and visitors. 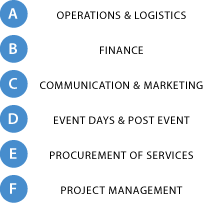 High level and Low level details for each High level activity will then be mapped in the Project Plan including timelines, accountabilities and budget implications to track performance and delivery. - Secure the support of the industry and develop a high value technical program / premium content. - Approach the key companies that will want to have a strategic shareholding in the event – We call them Sponsors – Sponsorship is exclusive and expensive! - Start the exhibition promotion - you need 12 months to deliver maximum results. If the above has been done effectively, congratulations! You have already secured hundreds of delegates. Make sure they register, and push for more registration until the very last minute.